Piggy Vest - Vehicle Signs Brisbane — Signs Anyone? A few weeks ago we were asked to come up with some Van signage for a regular client who was venturing into a slightly different avenue. Steven from Jannies Cleaning Services, has come up with a great idea to help people in need of some financial support. 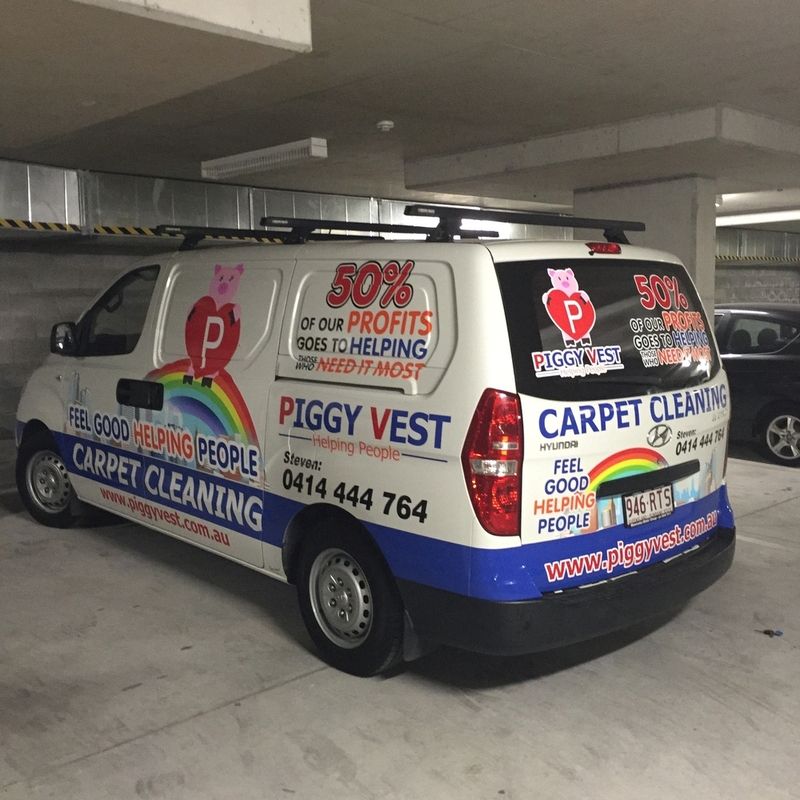 The new venture, called Piggy Vest, concentrates on Carpet Cleaning and donates 50% of its profits to helping those who need it most. New avenues of Cleaning will be introduced overtime. To find out more go to piggyvest.com.au. Piggy Vest Hyundai iLoad. Avery 800 Series Vinyl and 3M ij480 Digitally Printed Graphics.